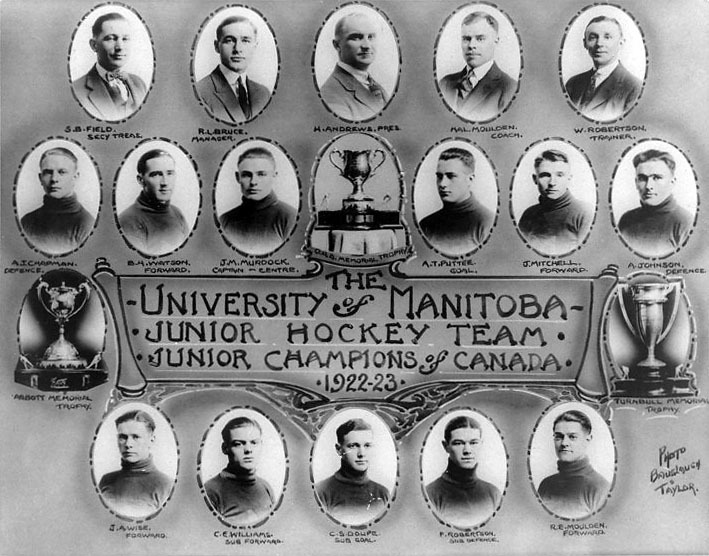 The 1923 University of Manitoba Junior Hockey Club won several championships including the prestigous Memorial Cup.Roster: J.A. Wise (Forward), C.E. Williams (Sub Forward), C.S. Doupe (Sub Goal), F. Robertson (Sub Defence), R.E. Moulden (Forward), A.I. Chapman (Defence), B.H. Watson (Forward), J.M. 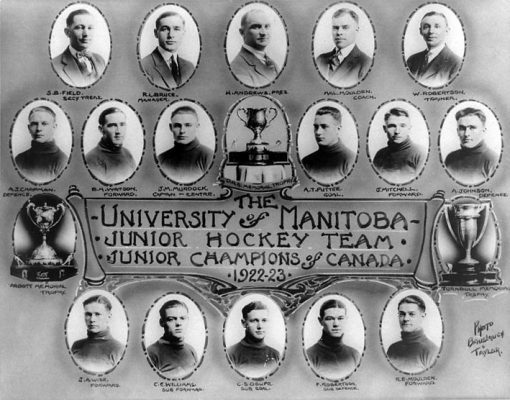 Murdoch (Captain & Centre), A.T. Puttee (Goal), J. Mitchell (Forward), A. Johnson (Defence), S.B. Field (Secretary/Treasurer), R.L. Bruce (Manager), H. Andrews (President), Hal Moulden (Coach), Walter Robertson (Trainer).